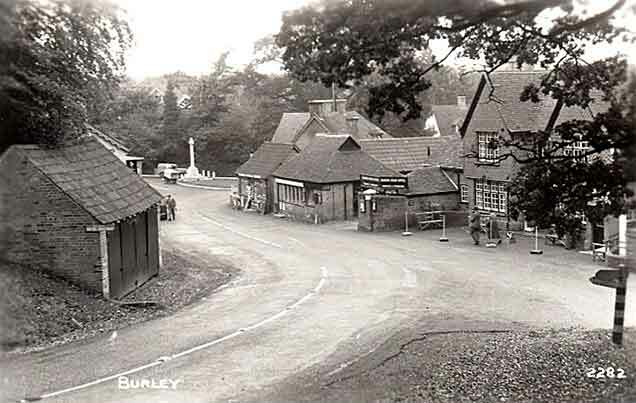 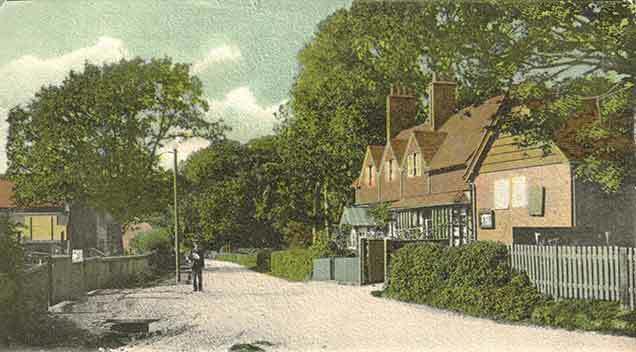 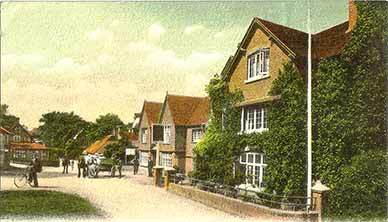 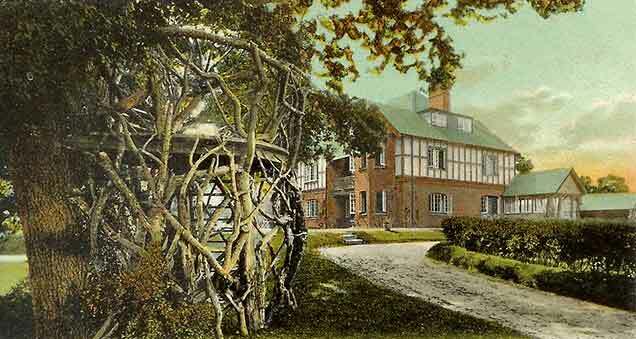 Here is a selection of old pictures showing Burley, in the heart of the New Forest, as it was in days-gone-by. 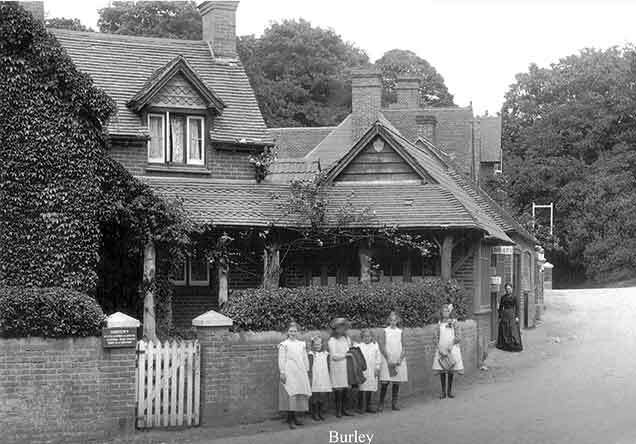 the doctors' surgery, watched by an older lady standing outside the library. 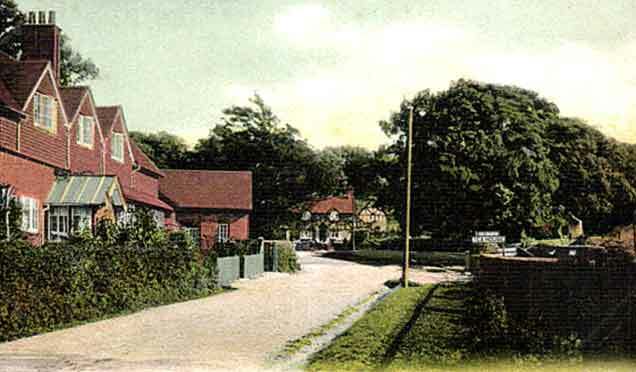 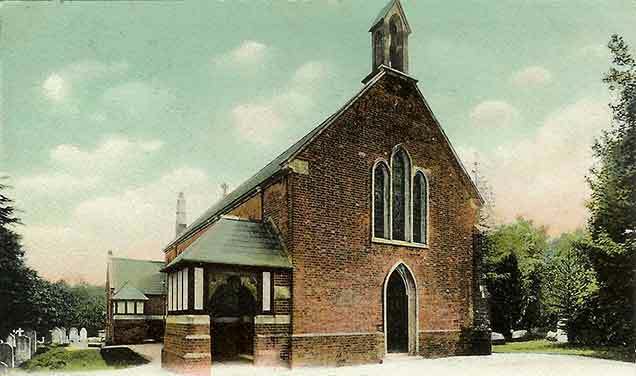 (Early years of the 20th century). 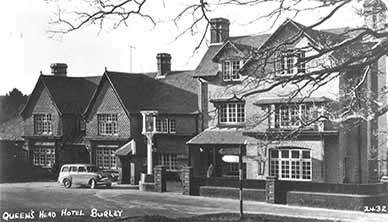 Burley - a view possibly from the 1940s. 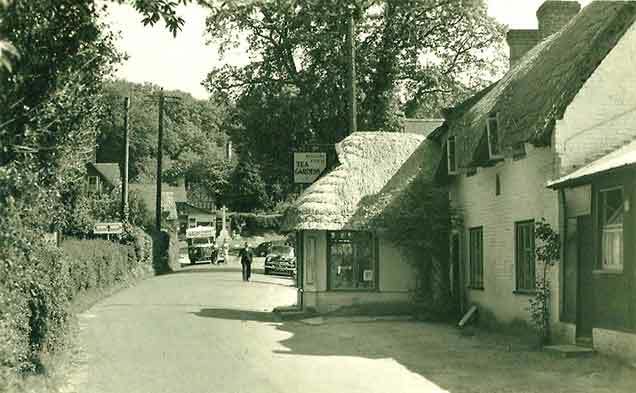 (There appears to be a number of military vehicles by The Cross).